We’re so excited to have Fort Worth Symphony Orchestra’s Concerts in the Garden on board for a Big Deal for the first time. This week, one lucky Big Deal winner will receive a table for four to see the Byron Stripling Quartet at the series on June 24 in the Fort Worth Botanic Gardens. 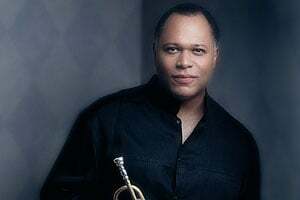 A must-see for jazz fans, Byron Stripling is an engaging singer and spectacular trumpeter with an electric performance style. This big band veteran who played Louis Armstrong in Satchmo is a master of many styles, and will especially please fans of traditional jazz. You must be a subscriber to Art&Seek’s free e-newsletter to win this Big Deal. And you may also want to check out this week’s other Big Deals, tickets to Jersey Boys at the Winspear Opera House or tickets to Jonathan Tyler and the Northern Lights at the Granada Theater. Enter below for Byron Stripling Quartet. Good luck! UPDATE: Got our winners, thanks for playing. Hope you hear from me soon.